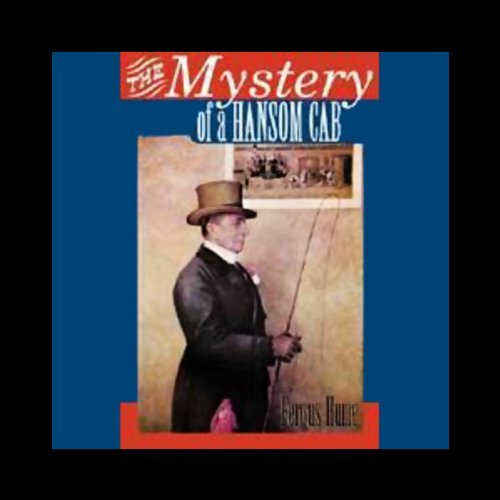 One lonely night, a cabbie discovers that his intoxicated passenger has been suffocated with a handkerchief saturated in chloroform. The murderer, the victim, and the motive are all unknown. Fergus Hume's first literary attempt became the best-selling mystery novel of the 19th century, exceeding even Sherlock Holmes. Hume was a law clerk in Australia, and thus the story takes place in the streets of Melbourne. Enjoyed the well constructed story and can understand why it was so popular around the same time that Sherlock Holmes graced reading pages. This recording however was disappointing. The narrator gives good versions of character voices but between lines is very robotic and will be galling for Australians to hear Melbourne pronounced in the American "Mel-booorne" way. It must be an old recording as the sound quality is poor but then if you consider it was written in 1886 then it adds to the story! There's a lapse in the recording in chapter 9 at around 16 minutes and the last chapter is repeated for whatever reason. Overall I enjoyed the story! This mystery story is interesting and enjoyable for the most part, but it is sometimes slow. It also lacks the intensity and depth of characters that one sees in works by other mystery writers like Conan-Doyle or Christie. All things considered, not bad, but not spectacular.